The Gutterson Fieldhouse at the University of Vermont. St. Mark Catholic Parish on North Avenue. The Given Medical Building of the UVM College of Medicine. The NBT Bank on Bank Street. The Sustainability Academy at Lawrence Barnes. Ohavi Zedek Synagogue. Rice Memorial High School. 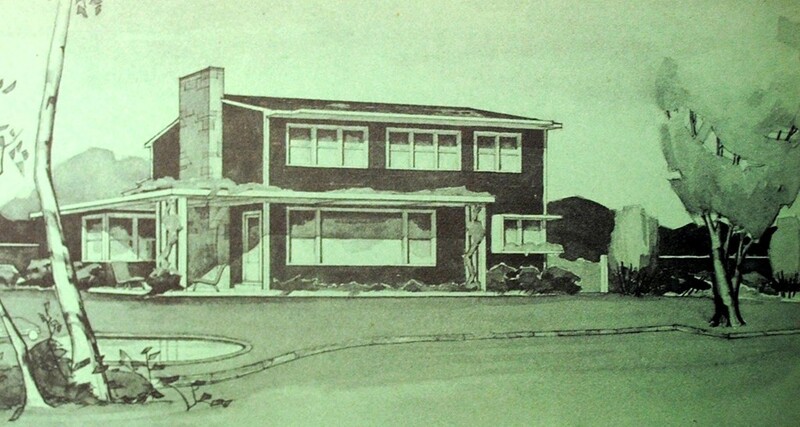 What do all these greater Burlington buildings from the 1940s, '50s and '60s have in common? All of them — and hundreds more around Vermont — were designed by one architect: Ruth Reynolds Freeman. It's unusual for any one architect to shape the built environment of a town and state to such a degree, but particularly unusual for a woman, let alone one of Freeman's era. A pioneer in a male field, Freeman was the second woman to graduate from Cornell University's architecture program, in 1936. The following year, she and her husband, fellow Cornell alum William Freeman, joined John French, a graduate of the Wentworth Institute in Boston, in founding Freeman French Freeman in Burlington. FFF was the first architectural firm in Vermont to open its doors, making Ruth Freeman Vermont's first female architect. Technically, all the aforementioned buildings should be attributed to the firm. But Ruth Freeman was its lead designer throughout her career. 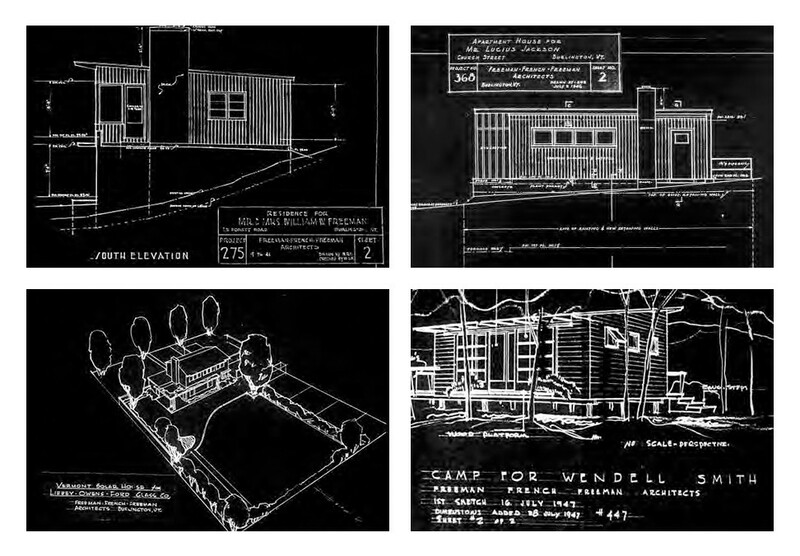 As a 1949 Progressive Architecture article notes, "Mrs. Freeman is responsible for most of the design and makes most of the presentation drawings." French, an engineering expert, was said to handle "drafting room supervision"; William Freeman primarily interfaced with clients and acted as "design critic." 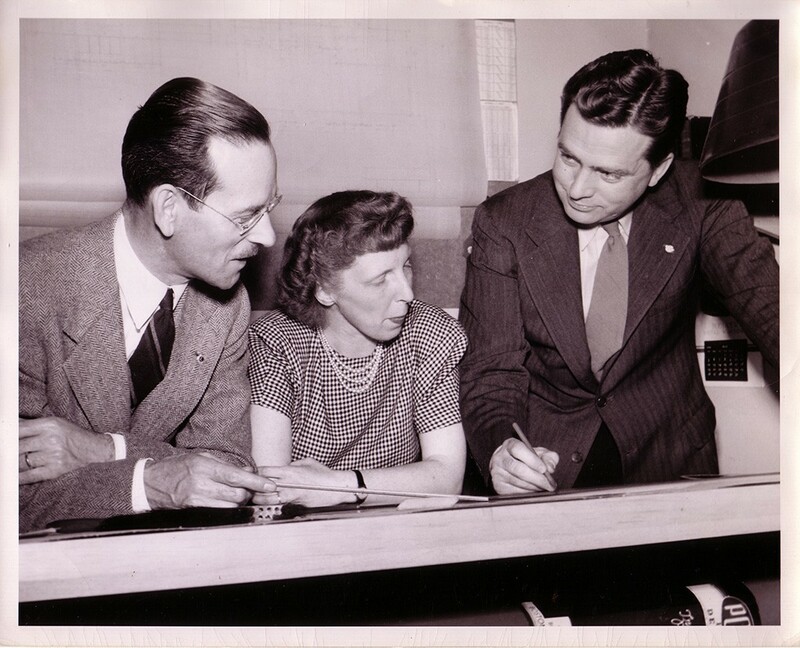 The architect William Wiese, who joined FFF in the early 1950s and stayed for 45 years, recalled in a 1990 interview that he was still visiting Freeman's bedside to consult on designs in 1969, the year she died of breast cancer. "There was never any doubt who was in charge of design while she was alive," Wiese remarked. The facts of Freeman's career bear this out. On receiving her Cornell BA, the Brainardsville, N.Y.-born architect placed second in the American Institute of Architects' competition for "general excellence" in a bachelor's program. 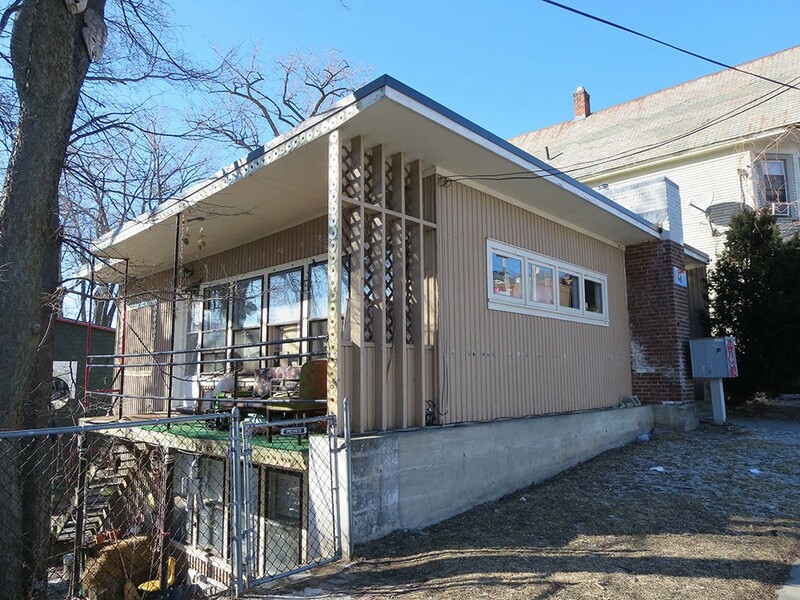 In 1946, Freeman was chosen to design a solar house for a book project dreamed up by Libbey-Owens-Ford, the first glass company to manufacture insulating double-glazed windows. The book was called Your Solar House, and its editors commissioned designs from one architect in each state. Freeman's appeared alongside those of iconic modern architects Louis Kahn, Edward Durell Stone and Pietro Belluschi. Ruth Freeman's solar house drawing. Freeman was one of 10 American female architects featured in the March 1948 issue of Architectural Record. She was elected the first president of the Vermont chapter of AIA at one of its first meetings in 1949 — the only woman in the country to hold such a position at that time. Not that assessments of her career weren't tinged with misogyny. The Record article, which polled the country's 108 practicing female architects, had this summary of their work to date: "Logically enough, most of them stress residential work as the easiest to obtain and, on the whole, the most satisfying and natural for women to engage in." A follow-up Burlington Free Press brief noting Freeman's selection for the Record article called the trickle of women entering the profession an "invasion ... in a field that is traditionally for men." Freeman must have encountered such views on a daily basis. In the Record, she is quoted as saying, "I have managed to get along well with most clients and contractors, but I actively resent the person who beams on me and says, 'Well, I suppose you do all the kitchens.'" Freeman was "fiery," recalls her son, Jay Freeman. Now 69, he lives in Redondo Beach, Calif., and develops flight software for steering rockets at SpaceX. "She had flame-red hair and green eyes and the personality to match," Jay says of his mother in a phone interview. "She was a liberated woman long before they started using that phrase." Ruth Freeman was groundbreaking for another reason: She and her firm brought modern architecture to Vermont. That was no easy task in a resistant population with limited financial resources. State architectural historian Devin Colman explained how the FFF principals met the challenge in his 2006 thesis on modern architecture for the UVM historic preservation graduate program. Having set up their practice during the Great Depression, the architects developed a practical approach: They would take any work — even a chicken coop commission. And they would develop designs from the interior out, depending on how the client intended to use the space. In other words, form followed function. That was also the mantra of the modern architectural movement, which had begun to spread through American architectural schools during Freeman's undergraduate days. Two of Freeman's most notable early designs date from 1941: a house at 22 Deforest Road, which the couple designed for themselves, and St. Mark Catholic Parish. St. Mark was the direct result of the Freemans' detailed consultations with client representative Father Tennien about Catholic liturgical requirements — of which the firm's members knew little. 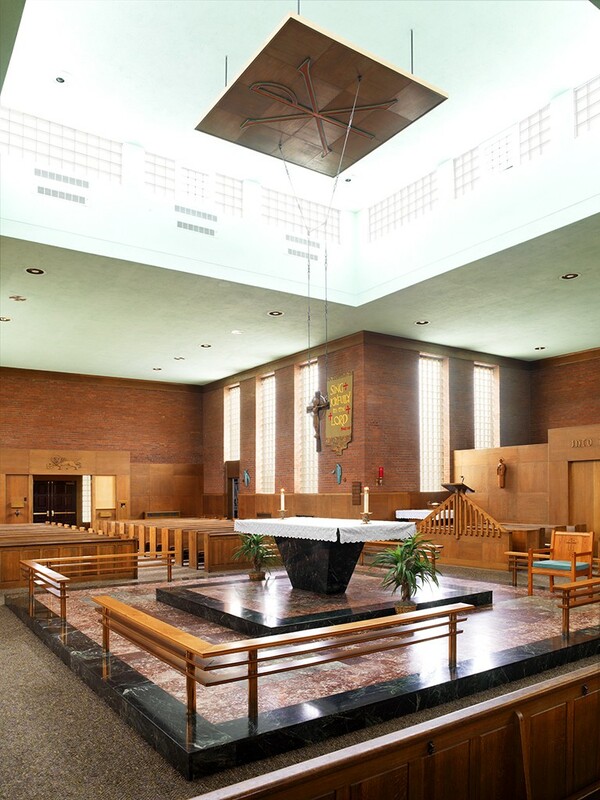 William questioned the priest, Ruth presented design solutions, and the architects devised a radical layout that placed the altar in the center of a condensed cruciform, with seating extending from it on three sides. The spare interior had exposed brick walls, oak wainscoting and pews, and red marble floors. The traditional profusion of ornamentation and statuary was replaced by porcelain wall sculptures of the Stations of the Cross. The church immediately garnered spreads in TIME magazine and Architectural Forum and was still receiving notice eight years later with a write-up in the New York Times. Within the Catholic community, the structure was considered enormously progressive. It predated Vatican II — the Catholic reform movement that sought, among other things, to bring congregations and clergy closer — by more than 20 years. The Freemans spent World War II in Washington, D.C., where Ruth worked for another firm doing emergency housing, hospital design and "scale drawings for aircraft identification purposes," according to the Record. Following the war, the couple returned to their Burlington home. They were married for 10 years before Ruth gave birth to the couple's only child, in 1946. Jay says his mother was able to continue working full time because his grandmother, Maude Reynolds, lived with the family. When 22 Deforest became too small for the Freemans, says Jay, they moved up the street to number 100 — another house Ruth had designed, in 1939, for a more traditionally minded client. That Colonial-style house is currently undergoing major interior renovations. When Seven Days stopped by, the workers had a copy of the architectural plans spread out on a table. On every page, Freeman had written in beautiful but forceful caps, with a dot between each word: "Note! Finish contractor must check carefully at the job wall thicknesses, stud widths, etc., before fabricating frames and will be held responsible for same." "I remember one time listening to my mother bawl out a construction manager over the phone," says Jay with a chuckle. His parents did all building-site inspections together, hauling him along nearly every weekend of his childhood. Because the Freemans brought their work home with them, Jay adds, he grew up surrounded by paint chips and fabric swatches. His mother also painted and, he recalls, once made an Alexander Calder-like bent-wire mobile of fish. "I learned a great deal about design, color and style in the context of architecture, and was surprised to learn it applied in other areas," Jay says of his mother's influence. By 1949, FFF's principals had successfully smuggled modernism into Vermont, if their statement of design philosophy is any indication. 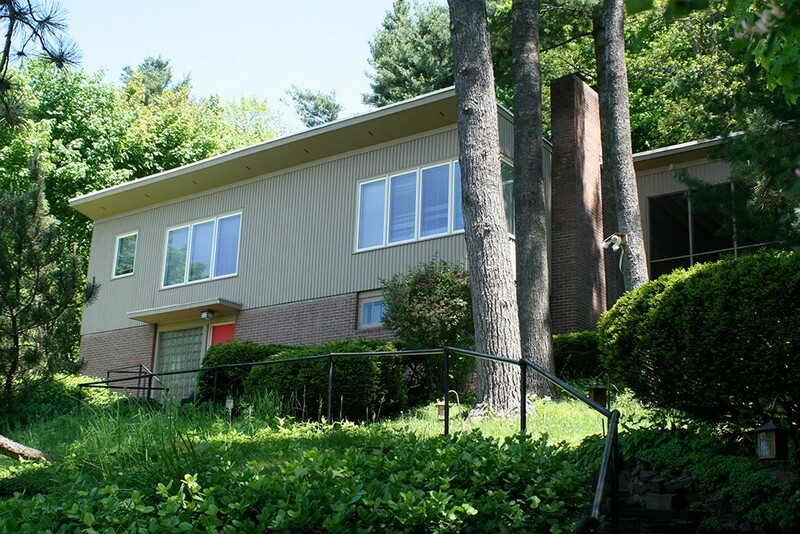 Because they had stayed within Vermonters' strict budgets and used "native" materials and labor, they wrote, "The Vermonter, perhaps unconsciously, therefore has accepted contemporary design." Freeman and her office went on to design one of Burlington's most important modern commercial structures, the cubic glass-curtain-walled 1958 Burlington Federal Savings and Loan Association (now NBT). In 1960, Freeman helped design one of the then-largest clear-span spaces in the state, the Gutterson Fieldhouse. She also designed most of UVM's post-1950 buildings and the entire Saint Michael's College campus plan. In the late 1960s, both Freemans made rigorous but failed efforts to rally the community against the federal urban-renewal program. Nonetheless, FFF was tapped to work with the office of Mies van der Rohe to replace downtown Burlington's gutted core with the Burlington Square Mall, Radisson Hotel and parking garage. By the time William Freeman retired from the practice in 1973, FFF had completed 1,800 projects, 1,100 of them in Vermont. "You could scarcely drive down the streets without seeing a building my parents had done," Jay says. Ruth Freeman's legacy survives in many of those buildings, as well as in the still-extant firm of Freeman French Freeman, now in its third generation of leadership. And, annually since 1971, AIAVT has awarded the Ruth Freeman Award to a top Vermont Technical College student finishing his or her associate's degree in architecture and building engineering technology. Originally given to the student with the highest GPA, since 2012 it has been awarded to the one "who exhibit[s] the highest level of architectural design excellence," according to department chair Chris Reilly. It's a fitting change in memory of a gifted architect. The original print version of this article was headlined "Design Diva"